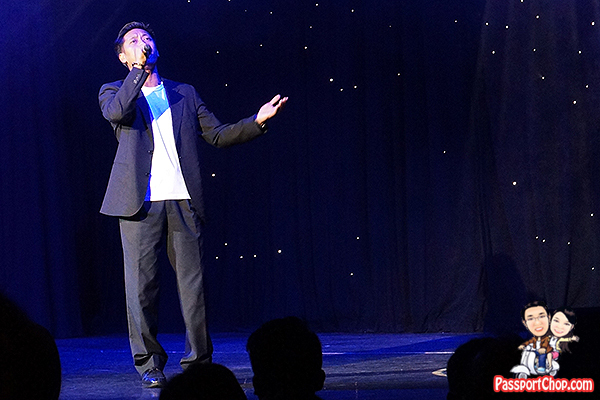 Onboard performances are a key part of a cruise experience – there are typically 2 performances at 7.15pm and 8.45pm in the evening (both are the same) catering to guests having the cruise dinner at the 2nd and 1st sitting respectively. On Costa Victoria, the performances are held at the Festival Theatre at Deck 6 Traviata (these are “stall” seats) and Deck 7 Carmen (“circle” seats). The best seats are the ones at Deck 6 – guests on Deck 7 can check out the performance from projected video on a screen if they can’t see the stage. The good seats are typically all snapped up about 15 minutes before each performance so go early and chope your seats if you have the time. Each show is about 45 to 60 minutes long. 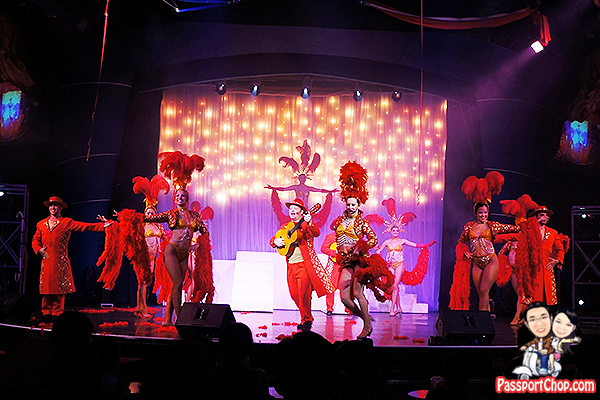 The first musical performance onboard Costa Victoria was themed “Rich & Famous” starring the singers Paul and Sorina as well as the Costa Victoria dancers – expect lots of costume changes and great singing and dancing. 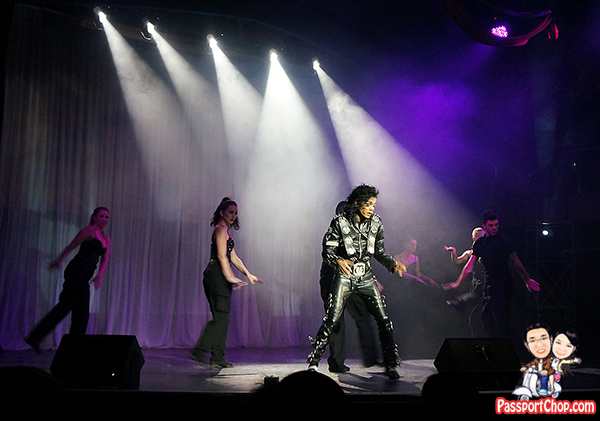 I loved the performance on the second evening the most where Costa Victoria had brought in ICE – a world famous Michael Jackson impersonator from Las Vegas. Excellent dancing and costumes – this feels almost like a mini Michael Jackson concert – really impressive and awesome work by ICE! All the singing is done by ICE and I am impressed by how he manages the elaborate costume changes between songs – the Costa Victoria dancers also did a very great job in supporting him in the dances. 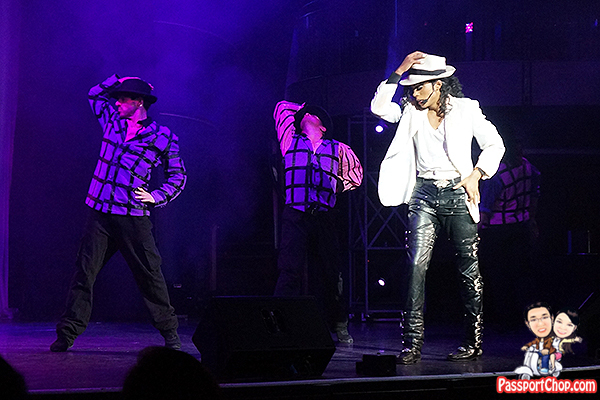 Look out for the signature Moonwalk and the Michael Jackson yelp -> Ow…!!! On the next day, there is even a short dance class conducted by ICE to teach a full Michael Jackson dance sequence. The performances on the third evening were themed “Viva Italia” – perfect fit with the fun dinner we had earlier where the restaurant staff celebrated in typical Italian style. Here in this performance, the singers and dancers brought the audience through Italian history and music culture – you might not understand some of the songs sung in Italian but appreciate the “soprano” style of powerful voices! 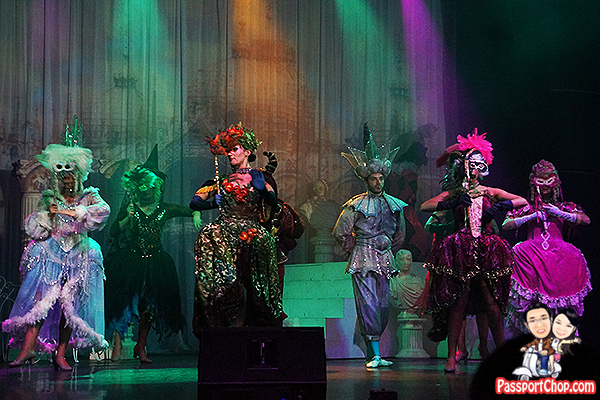 Again, lots of elaborate costumes – personally like the Venetian dance segment. What really caught me by surprise was the performance on the day of arrival at Singapore port. 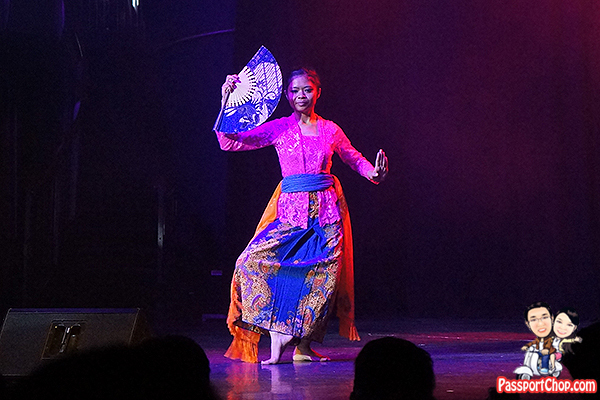 The performance was held at 10.30am – all guests were required to leave their rooms with their luggages by 10am to prepare for disembarkation at Singapore at 2pm. 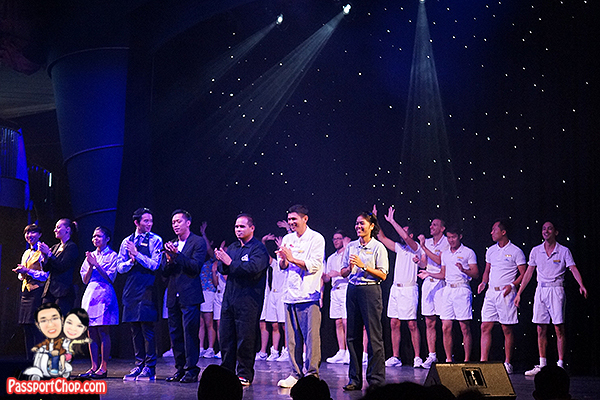 There was only one sitting for the performance and it was titled “I have a dream” – it was actually a staff performance where the cruise staff from different functions e.g. chefs, security guards, cabin attendants and games team put together a performance showcasing their talents in singing and dancing. Excellent effort by the team and they were able to keep the audience engaged throughout the session! Hello passportchop, good day to you.How I wish I could be able to watch a musical performance like the costa victoria cruise musical performance. I’m sure with this kind of performance the ticket price of it is really good too. Do we need to made any reservation for the last performance held before arrive Singapore ? Since everyone has to leave the room by 10 am, the theatre will pack with all the guest I think. No need to make reservation for any performances – just show up. But if you arrived on time during the regular nightly performances, then you will find it quite hard to find a seat. On the last performance held before arrival in Singapore, the theatre will be packed with guests so just arrive early for a seat.